Sometimes the best way to show your boss just how much you appreciate their fine leadership is by sending flowers. 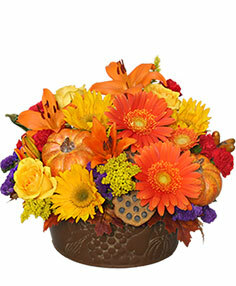 With a National Boss Day gift of flowers from B-HIVE FLOWERS & GIFTS, your boss will know exactly how you feel. Everyone wants a raise. Raise your boss's spirits this Boss Day with one of the many colorful flower arrangements from B-HIVE FLOWERS & GIFTS in Immokalee, FL. WE WILL BE OPEN FOR VALENTINES DAY WITH A LIMITED SELECTION DUE TO PHYSICAL LIMITATIONS. PRE ORDER IS A MUST FOR DELIVERY. WE WILL HAVE RED ROSES ONLY AND A FEW DESIGNERS CHOICE ARRANGEMENTS. SORRY FOR ANY INCONVENIENCE. PLEASE PLACE YOUR ORDER IMMEDIATELY. Roses are always a great, classic way to say 'I love you' while a bouquet of your loved one's favorite flowers is always perfect on Valentines Day. Sending roses is always a special occasion. Let B-HIVE FLOWERS & GIFTS help you send this traditional romantic gift. They are also one of the most popular and recognized flowers in the world. No matter who you want to send flowers to, roses are a perfect choice. Send red roses for romance, white roses for respect, and yellow roses for friendship. Whatever rose you choose to send, B-HIVE FLOWERS & GIFTS in Immokalee can help you! We have a large variety of stuffed animals. Call or come by to see our selection! DELIVERIES TO AVE MARIA AND FELDA MUST BE A $50 MINIMUM PLUS A $12.50 DELIVERY CHARGE.